Mountain Training has delivered leadership qualifications in mountaineering and climbing for candidates since 1964. Their aim is to educate and train people in walking, climbing and mountaineering. 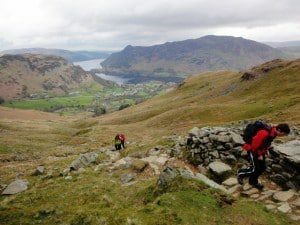 To make this a reality they have developed a range of nationally recognised mountain leadership, instruction and coaching awards, as well as skills courses. The awards and skills courses are run by approved Providers who are scattered all around the UK and Ireland. When you book onto a course, they’re the ones who will train and assess you, teach you how to climb, navigate, lead etc. Have you ever wanted to teach indoor climbing? This new award was revised in April 2018, but was originally launched by Mountain Training in January 2008 as the Climbing Wall Award. It is the outcome of considerable consultation with voluntary youth organizations, the education sector and the climbing community. The award will cover the skills and leadership qualities needed to introduce and supervise novice climbers on typical top roping and bouldering climbing walls. Candidates will learn how to manage groups in a busy indoor climbing environment. They will learn how to carry out appropriate warm-ups and cool downs, to prepare their clients for the activities ahead and to prevent injury. They will learn how to teach and coach climbing techniques and how to spot the potential Leo Holding. They will also learn how to prevent and overcome problems in a simple and safe way. There is an additional module in supervising abseiling from artificial structures. 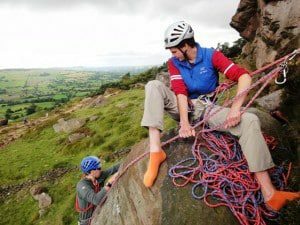 This award will appeal to teachers, youth leaders, scout and Duke of Edinburgh Award supervisors who have access to a climbing wall or artificial climbing/abseiling structure. It is also useful but not essential if candidates have an understanding that climbing indoors is just a small part of climbing and that ultimately climbing is about the big outdoors and the crag environment. See The Calendar for the next Climbing Wall Instructor Training and/or Assessment run by Ali Taylor at UCR Bristol. Ring 0117 908 3491 to book a place. Cost: £149 for 2 day Training Course and £85 for Assessment. 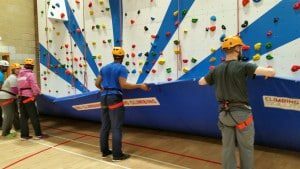 This award trains and assesses candidates in the skills required to teach lead climbing skills on indoor or outdoor artificial climbing walls and structures with fixed protection. It builds on the skills gained through either the Climbing Wall Instructor Award or Rock Climbing Instructor Award, one of which candidates must hold to access the Climbing Wall Development Instructor Award scheme. Registration for the CWDI is an application process, during which your experience of logged sessions as a Climbing Wall Instructor or Rock Climbing Instructor, along with your personal indoor climbing experience, is taken into account. Training course bookings must not be made until your Climbing Wall Development Instructor registration application has been approved by Mountain Training. 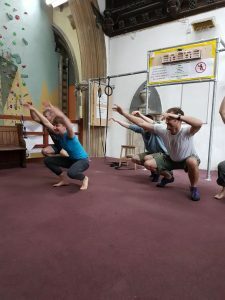 See The Calendar for the next Climbing Wall Development Instructor Training and/or Climbing Wall Development Instructor Assessment run by Ali Taylor at Undercover Rock in Bristol. Training and Assessment cost – £95 including entry to the Climbing Centre. Please ring 0117 941 3489 to book a place. 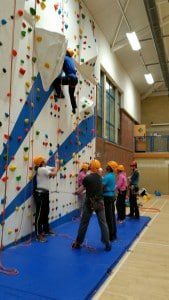 There are many climbing walls scattered around the country in sports centres and schools that rarely get used. They are often included in a new school or commercial sports centres but there is no infrastructure to make them work. The wall needs to be maintained structurally, operating procedures and risk assessments in place, as well as a qualified (minimum MIA) technical adviser who can oversee the whole picture and train instructors to work safely with clients at the new wall. Instructors can be trained to work solely at one climbing centre – commonly called Site Specific Instructors, enabling them to understand the working systems of that particular centre and learn the necessary techniques and safety implications. Monsterclimbs has trained Instructors at: Malvern Sports centre, Tewkesbury School, the Summit Climbing Centre in Bargoed, The Warehouse Climbing Centre in Gloucester, Bredon School, Bristol Grammar School, Bishop Rd Primary School in Bristol, North London Collegiate College(pictured), Alderley Edge School for Girls, Henbury School, Aldridge School, Willington Prep School, Melksham Oak Community School, Folkestone School for Girls and Clifton High School. Instructors learn how to use all the essential equipment and how to transfer this information to their clients whilst managing the dynamics of a group. 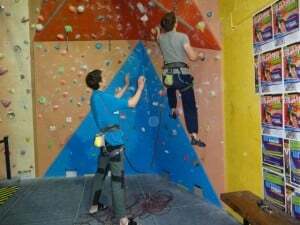 They become aware of the legal responsibilities of a climbing instructor, of the Duty of Care especially where under 18’s are involved and instructors are working ‘in loco parentis’. They become familiar with the BMC participation statement and the potential for injury and/or death. They learn different belaying techniques that are appropriate to client needs, whether they are there for a one off session or are actually learning to be independent climbers. By regularly checking equipment and by constant observation they learn to avoid problems and know how to solve them. Warming up appropriately for climbing is essential to avoid injury and SSI’s develop the skills to do this and learn basic climbing techniques to promote a solid base on which new climbers can build. Indoor climbing is only the tip of the iceberg and new instructors are encouraged to look at the bigger picture to inspire their clients to take climbing beyond the confines of the climbing wall. A consolidation period follows the training, whereby trainees visit climbing centres and shadow other instructors, assisting where possible to cement their knowledge and extend their experience. The assessment takes the form of running a live group climbing session, which must be safe, informative and fun. If you have a climbing wall that needs developing please contact Miss Ali Taylor 07814555378 or email alikat65650@hotmail.com or use the contact form. It is valid throughout the United Kingdom and Ireland (Mountain Training UK National Guidelines 2004) and is recognised by the Adventure Activities Licensing Scheme. Refresher days with Ali Taylor are custom built to ensure you are ready for your assessment. You will be given scenarios based on your strengths and weaknesses and will highlight areas that need further consolidation. Cost per person £140 per day or £95 each for 2 people. Please contact Miss Ali Taylor 07814555378 or email alikat65650@hotmail.com or use the contact form for further information or to book a course. Refresher days with Ali Taylor are custom built to ensure you are ready for your assessment. You will be given scenarios in Mountain Environment in North Wales, The Lake District or Dark Peak depending on your location, based on your strengths and weaknesses and will highlight areas that need further consolidation. Cost per person £140 per day or £95 each for 2 people. Discount for 3 or more. Please contact Miss Ali Taylor 07814555378 or email alikat65650@hotmail.com or use the contact form for further information or to book a course.